WELCOME to the Mahatma Gandhi Memorial Statue Web Site. To honor the life and achievements of Mahatma Gandhi, members of the Gandhi Trust and elected officials, community leaders, and citizens of Skokie and the surrounding areas, unveiled a 12ft statue at Heritage Park on the Birthday anniversary of Mahatma Gandhi on October 2, 2004. 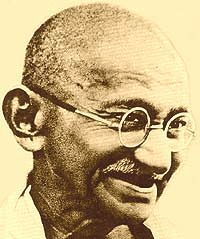 This site provides information about the memorial as well as the life of Mahatma Gandhi. Copyright © 2019 | gandhimemorial.org All rights reserved. Powered by WordPress and Smartline.